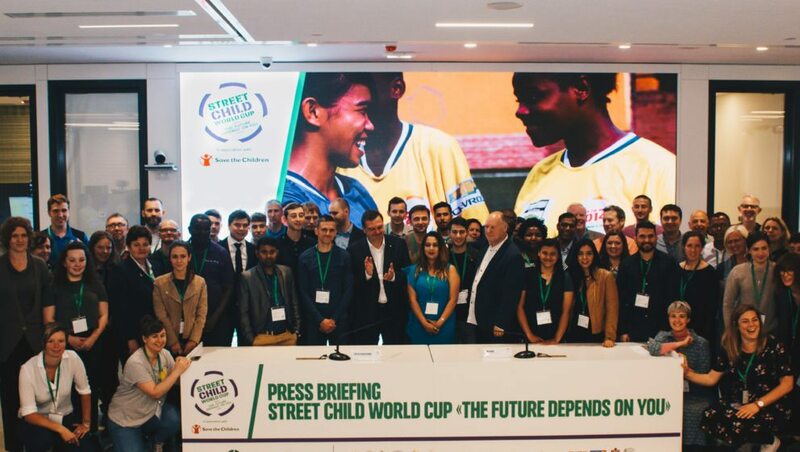 The Street Child World Cup: The Future Depends on You – an international football tournament for orphans and street-connected children – will take place ahead of the FIFA World Cup, in Moscow, Russia, in May 2018. The event was announced yesterday at a Global Summit for street-connected children’s rights. The event will be co-organised by UK charity Street Child United in association with Save the Children, and leading Russian telecoms operator “MegaFon”. The football tournament will bring together orphans and street-connected children to play on and unite off the field for the rights of all children at risk. The UN estimates there are up to 150 million street-connected children worldwide. The event aims to challenge the negative perception and treatment of children at risk across the world. There has been widespread approval for the initiative from Pope Francis, HRH Prince William and Archbishop Desmond Tutu. They are not alone – the football world has also backed the event with support from Barcelona’s Lionel Messi, Pele and David Beckham. Since 2005, “MegaFon” have organised the annual national “The Future Depends on You” football competition among teams of orphanages, engaging more than 30,000 children in 140 cities. “MegaFon” use football to create a platform for at risk children so that their voices are heard, and they can demonstrate their potential. “MegaFon” will invite four teams to participate in the Street Child World Cup, including a girls and boys team to represent Russia as hosts, alongside teams from Tajikistan and Belarus. They will be joined by teams from other countries including Brazil, Burundi, Canada, Egypt, England, India, Indonesia, Kenya, Liberia, Mauritius, Mexico, Nepal, Philippines, Tanzania, Uganda, USA and Zimbabwe, with others to be confirmed. During the event in Moscow, the young participants will be assisted by a team of international volunteers, including “MegaFon” employees.